No matter how nice your home's hardwood flooring looks over all, a stray bit of paint stuck to the floor captures your attention every time you walk past it. While it's possible to remove all traces of many kinds of paint, the method to do so varies, depending on how long the paint has been on the floor and the type of paint. In the same manner, the task may be quite simple, or it may require several different methods to erase that "oops." 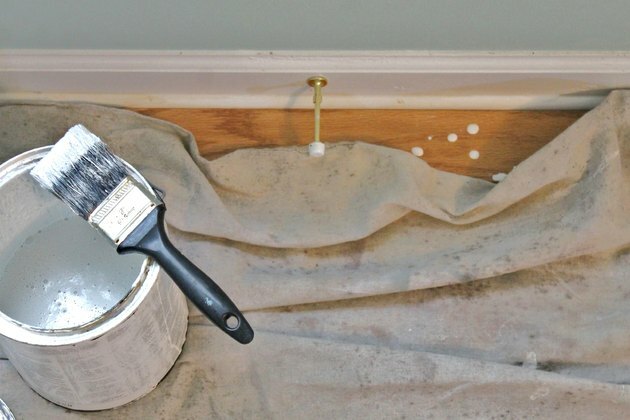 Wipe up a fresh paint spill as soon as you notice it, using a damp, soft cloth. 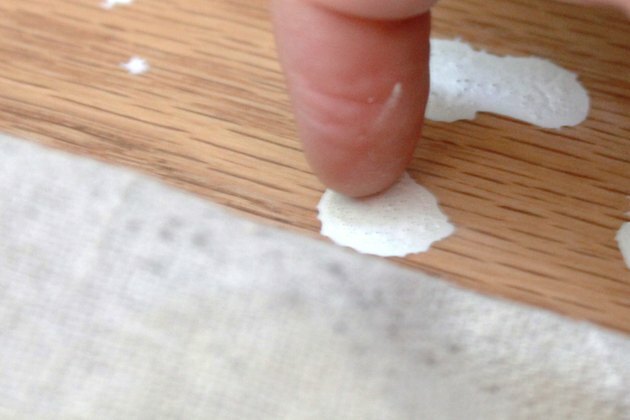 Swipe with a fresh area of the cloth for each pass across it to avoid spreading around the paint. 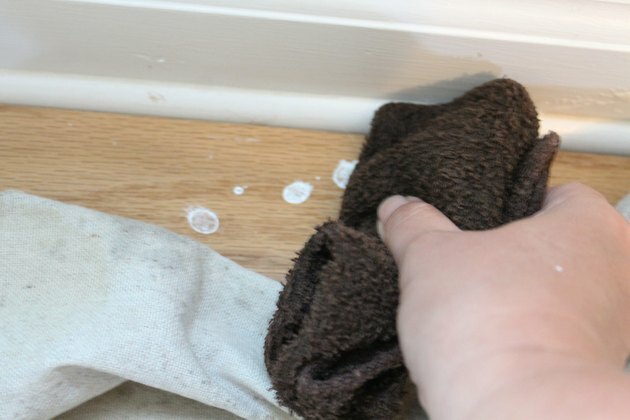 Follow up with paper towels and a fresh damp cloth, making the paint spill lighter and lighter until it completely vanishes. Remove gummy paint by picking at it gently with your fingernail, the edge of a gift card, a plastic knife or the bowl of a plastic spoon. Scrape gently over the paint surface many times, starting at an outside edge and working toward the middle, until you've removed most or all of it. 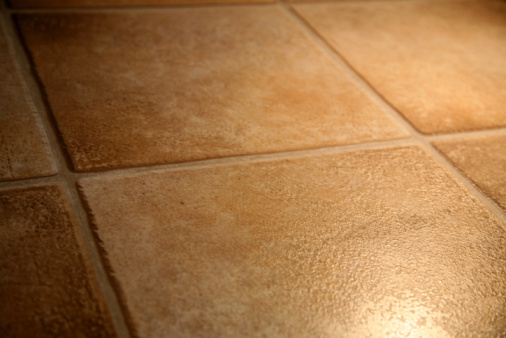 Avoid using metal tools that may scrape the floor's finish. 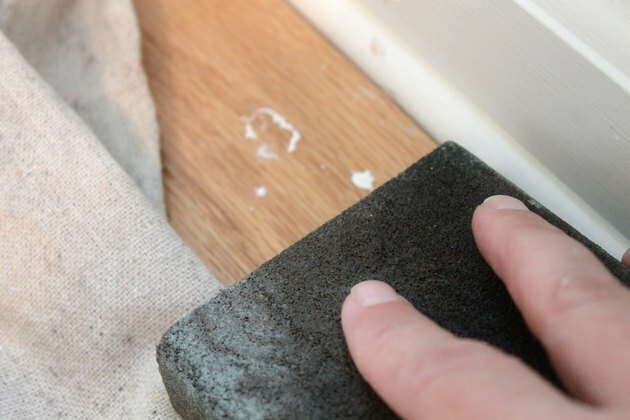 Buff the paint gently with fine-grit sandpaper in the direction of the wood grain, keeping your sanding area limited to the paint as much as possible. Continue sanding until you've removed most or all of the paint without affecting the floor finish. Wipe away the dust with a soft cloth from time to time to check your progress. 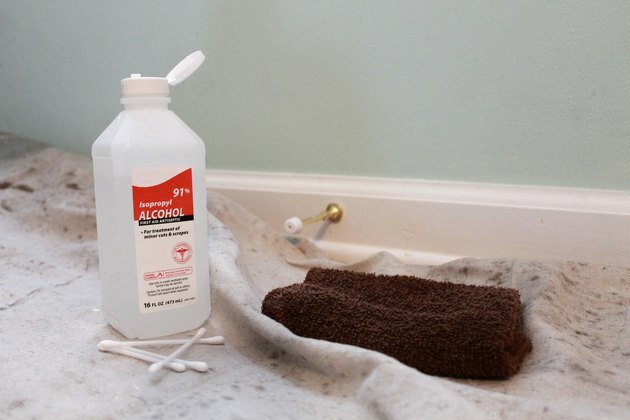 Dip a cotton swab in rubbing alcohol. Rub the swab over the remaining paint, blotting frequently with a soft cloth. If the paint does not come up right away, hold the wet swab atop the paint for a minute or so, then rub the swab gently back and forth before blotting the area with the cloth.